It has the biggest map in a game we’ve ever seen from Rockstar thus far and greater amounts of realism and complexity in the open-world environment than ever before. CHENNAI : So while everyone is booking tickets for Comic Con India, and freaking out about Microsoft’s XCloud (which is supposed to stream Xbox games across devices), they might not realise that there’s another major event happening end of October which might keep me occupied for the next two months. The event is, obviously, the launch of Red Dead Redemption 2 — only the largest Rockstar game to come out yet. It has the biggest map in a game we’ve ever seen from Rockstar thus far and greater amounts of realism and complexity in the open-world environment than ever before. There is so much detail in the gameplay that apparently, if the mini-map is turned off, the Non-Playable Characters are modified so that they start giving you directions (a feature which is also supposed to be in the Adventure Mode of Assassin’s Creed Odyssey). And this time, you can’t just summon your horse with just a whistle and assume that it will appear out of thin air. The developers want us to have a real connection with the horse as we explore the forests and open highlands alone — and we must keep track of our steed’s location at all times. Now it isn’t just the little details and special in-game features that makes the game a phenomenon. Remember that the very scale of the game warranted Rockstar to get over a 1,000 voice actors to voice the different NPCs — each with a distinct character and mood. The game has a spectacular setting, with the perfect turn-of-the-century period, developments like cross-country railroads (and we can expect some heist missions on them), and double-barrelled pistols. The size of the map itself allows for experimentation in the terrain, which consists of different kinds of towns, villages and city settlements (a beautiful looking New Orleans is featured in some game screenshots). Red Dead Online, the online co-op multiplayer, releases in November. The hype for the game has come a long way since the tiny E3 trailer two years back that showed silhouettes on horseback and advanced graphics with moving blades of grass. 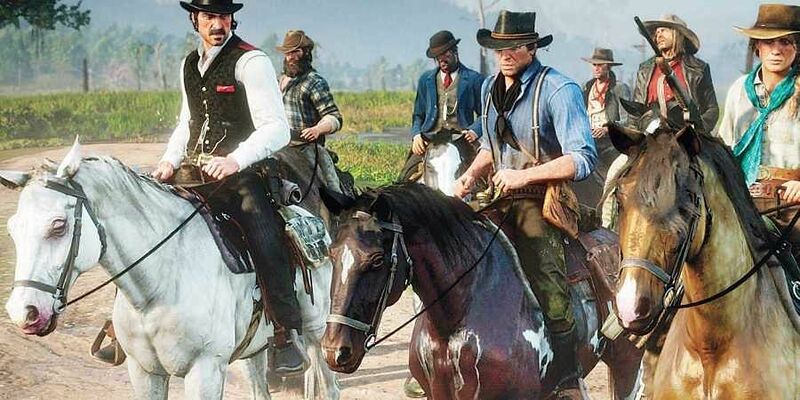 And RDR2 is all ready to meet the high expectations set for it.